The Montanari family own four farms. They were originally not on my list of coffee farms to visit, but having heard about what they are doing I was privileged enough to visit. 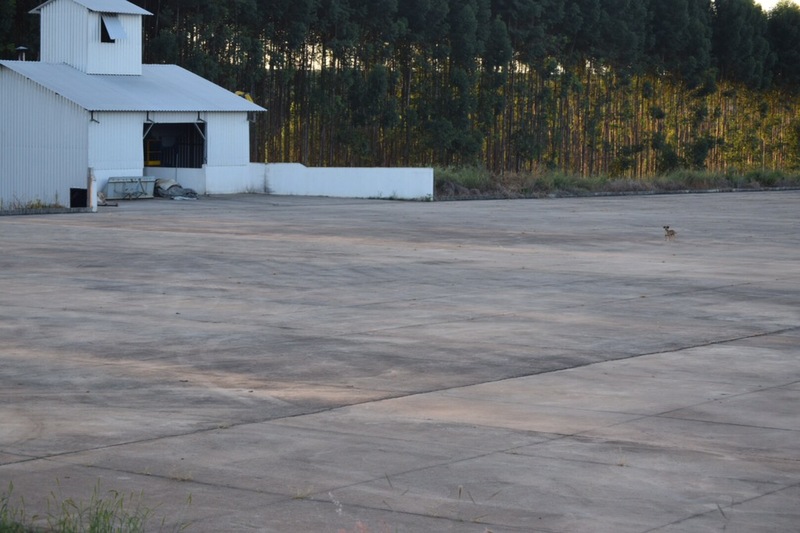 The farm is in its third generation and the younger son (Marcelo Montanari – Owner of Fazenda São Paulo) is very involved in the farm. He is a qualified agronomist and lectures at the local university which hold an number of coffee related courses. In fact Sandra also lectures there, Sandra was our primary guide at Expocaccer (see pic at previous farm or next to Acacia tree at Pântano). Pic below is Fri Quaffer on their bags Expocaccer prepared for them. Also you can see their sustainability award they received. 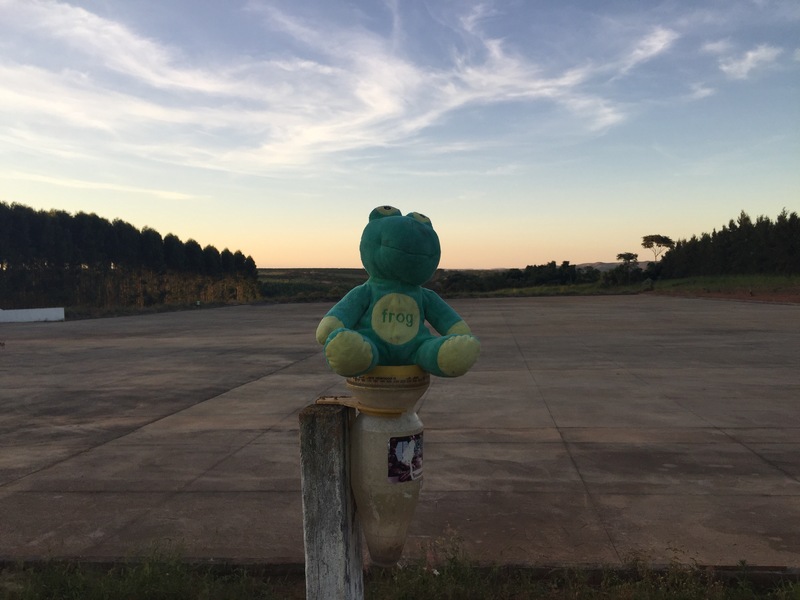 So some of what follows is quiet intense, and relies on the fact that you should have read lessons learnt on Brazilian farming. 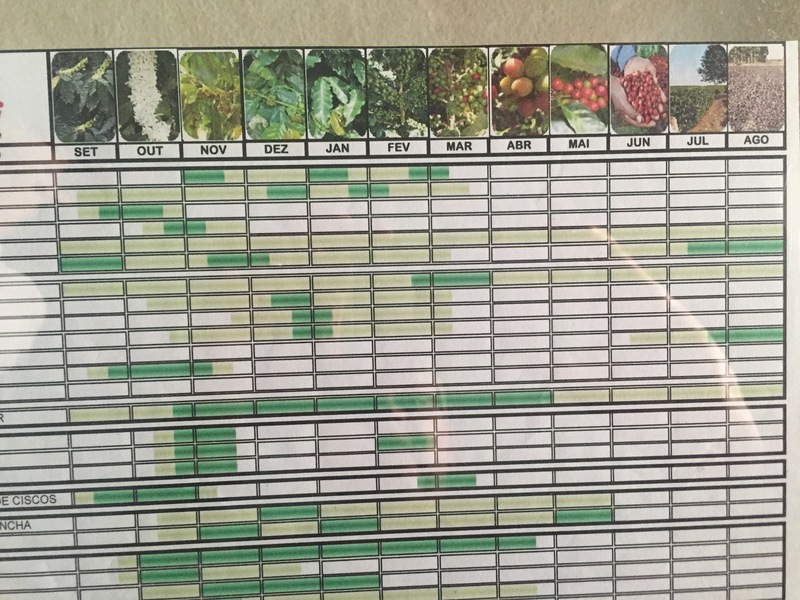 The Montanari's have studied sugar content correlation natural (dry process), pulp natural (PN) and washed coffees and final cupping score. 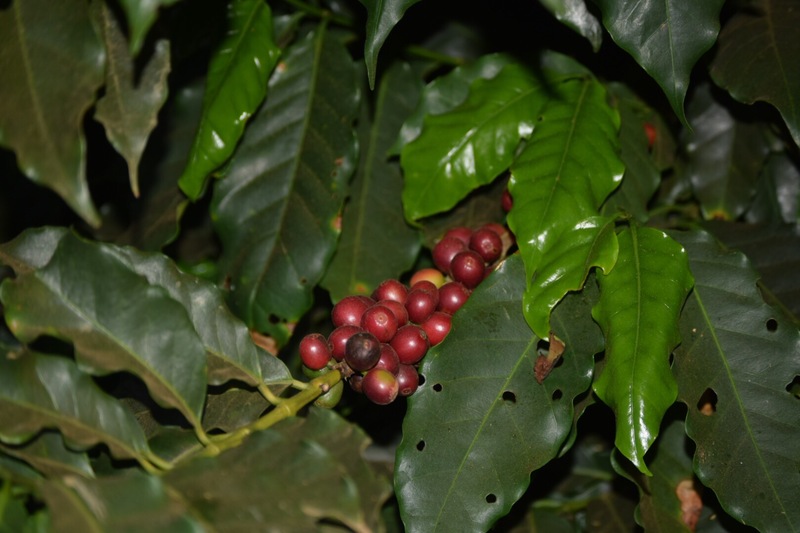 The results have shown that there is no correlation between sugar content of the cherry when picked for the natural and pulp natural, however there may be a correlation with the washed coffees, they are looking at this. However these results are different from the ones we have heard regarding experiments in other countries. 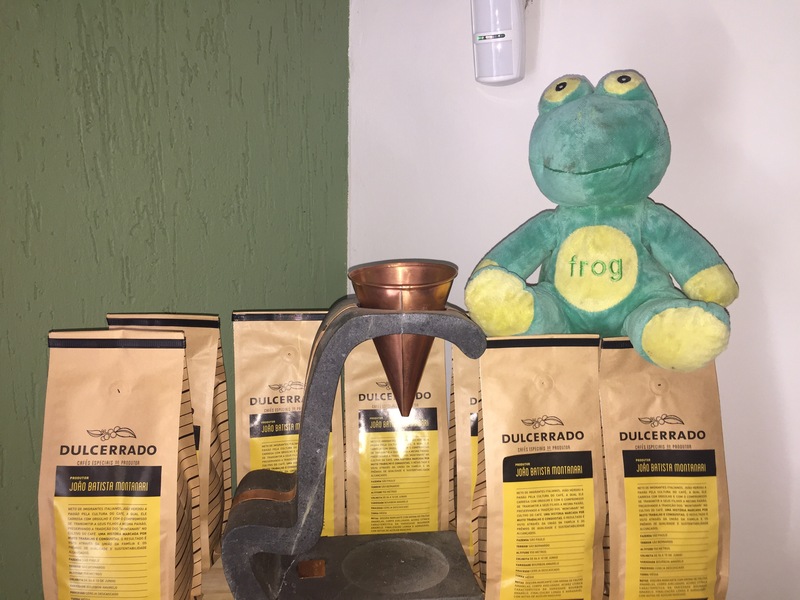 Brazil does not allow the import of any coffee into the country so many of the large coffee companies are requesting that the farms produce washed coffees. 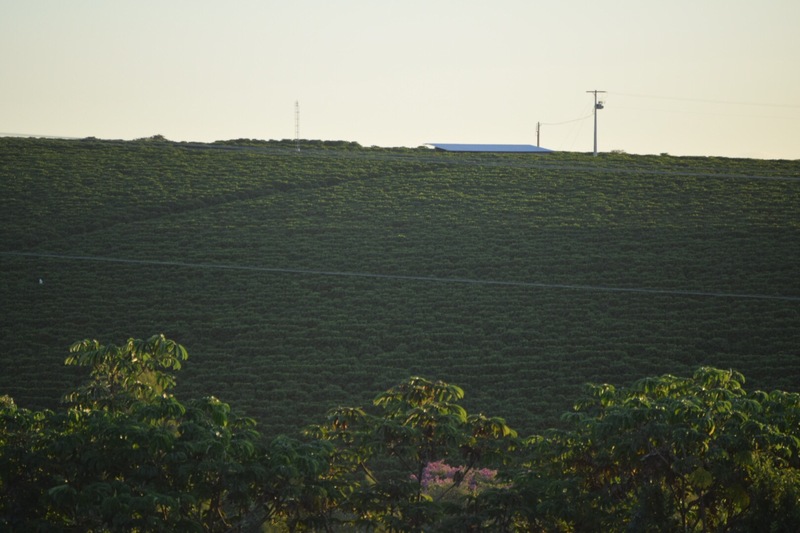 The São Paulo farm was selected by Nestle (considered very important in Brazil). Nestle looked at the soil the altitude and the rainfall and decided they wanted to use the farm to do experimentation with washed. The washed is de-pulped and left in mucilage 24 hrs then 12 hrs in water, until the water's pH is 4. If it goes below then it damages the bean. If after 24 hours the pH I be between 4-5 then the coffee will cup well, other wise there was an error. 100 % of their water, used in the wet process and the separating processing is reused. They looked at how some growers are planting to maximize sun using solar cycle, and although controversial they have done it on part of their farm, there is however a choice, either lots of sun during flowering season in October or lots of sun during fruiting season in March and April. They think it is best to have a mixture. The have seen the results of raised beds and are moving to raised beds, it improves cup quality significantly. Flower focus planting and cherry mature focused planting have been experimented on. They are attempting to retain a high level of Ethanol in the coffee. A lot of farmers try reduce, they theorize that keeping it stable through the cherries may helps the plant to produce a more consistent maturity and also the longer the time cherry takes to develop the more sweetness. 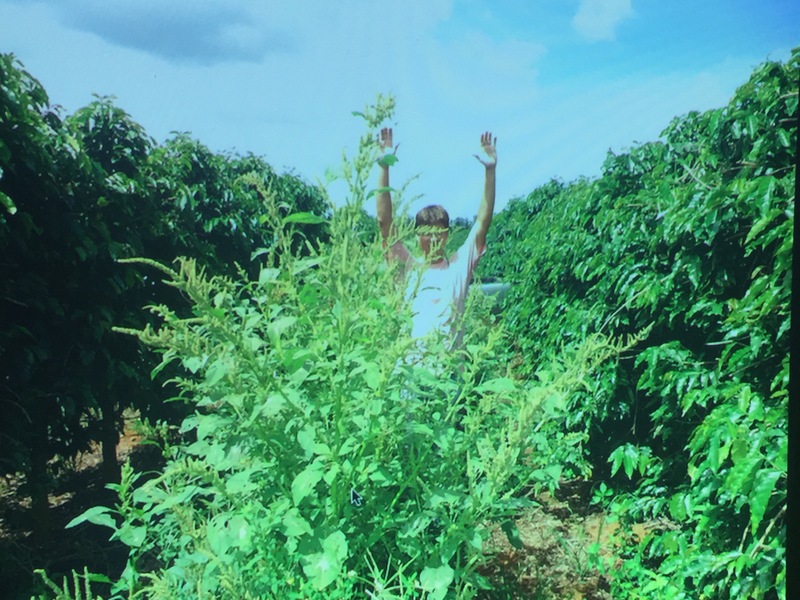 The consistent growth and maturity help with producing more quality cherry. 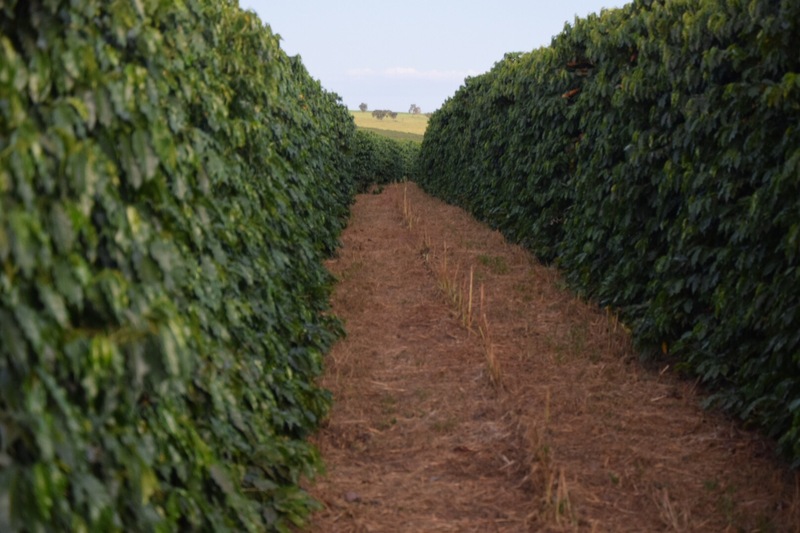 The have found that a decent flowering season causes inconsistency later in the crop. Because it happens much later. 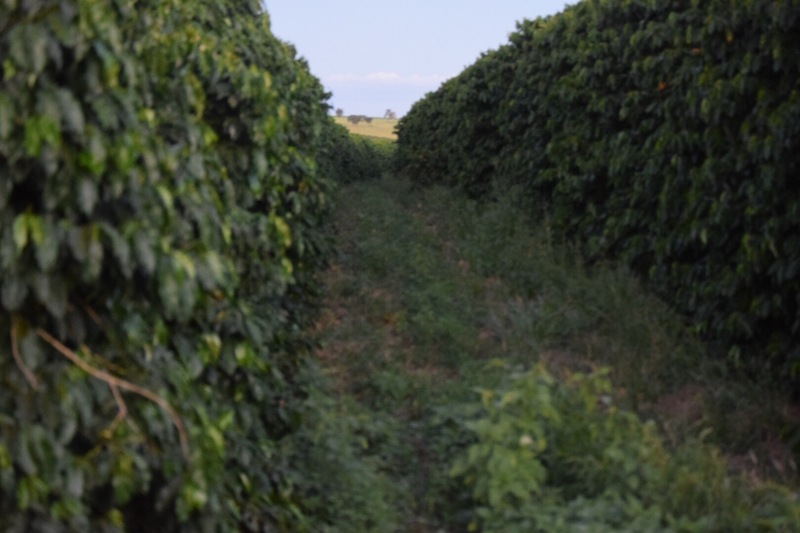 New methods are to add a mulch forming mixed crop between the rows of coffee during the rest season. This puts nutrient back into the earth for the coffee to use, at the correct root levels of the coffee. A lot of research to reduce the need for composting and attracting micro-organisms in the soil naturally. The deep and shallow roots help coffee which although it has a deep root 90% of nutrients come for near the top bit of the soil. They have found that allowing the bio mass to grow free has attracted beetles that eat bora. These beetles occur naturally in the free range crops. They produce 50 tonne per hector of dry bio mass. This has a result of 225,000 liters of table water increase per hector. 53,000 tones of CO2 retained by the extra bio mass, making them carbon negative, an amazing feat. 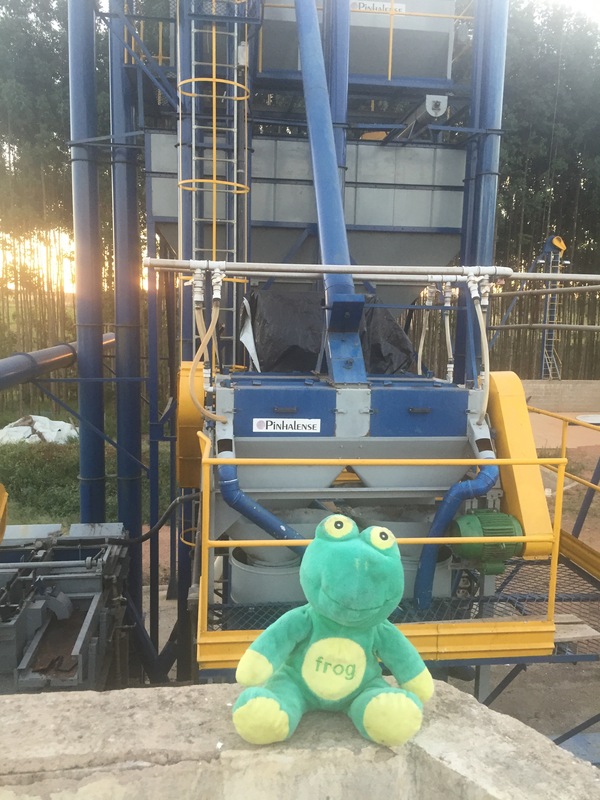 When then took a look at first the mechanical sorter then the farm, Which was next to their drying patio. 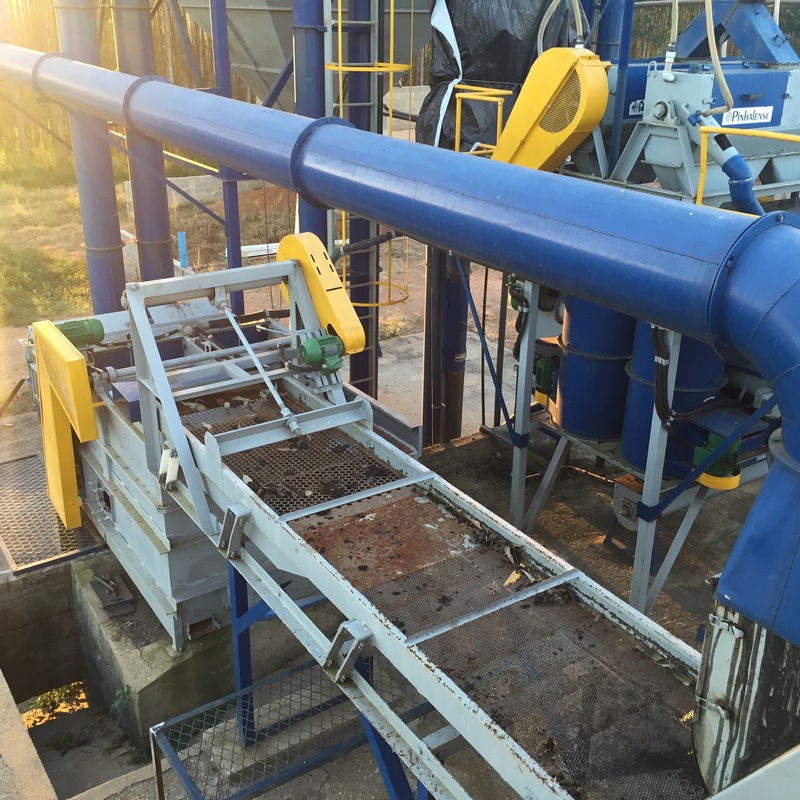 The mechanical sorter separates on weight, green and ripe sink. Green ones you cannot squash so those are separated. Green they leave in box for 24 hrs then ferment and then reprocess. The floaters they treat differently and are used in internal market. Over ripe also float you treat different and they can be used for capsule coffee has a lot of body and sugar. We then took a look around the farm it looked much healthier than the farm we had seen before the biomass and water savings are being reflected in the trees. the bio mass is left to run wild and then reintroduced into the soil after harvest.